Released on April 30, 1999 in Japan (as Pokemon Stadium 2), March 6th and 7th, 2000, in North America and Australia and reaching Europe on April 7th, 2000 for the Nintendo 64, Pokemon Stadium was actually a sequel of a previous "Pokemon Stadium" game released only in Japan, featuring 42 of the 151 Pokémon of the first generation (which explains the numbering difference between the regions). Pokemon Stadium made the dreams of all Pokémon players at the time come true, introducing for the first time, the Pokémon world in 3D. 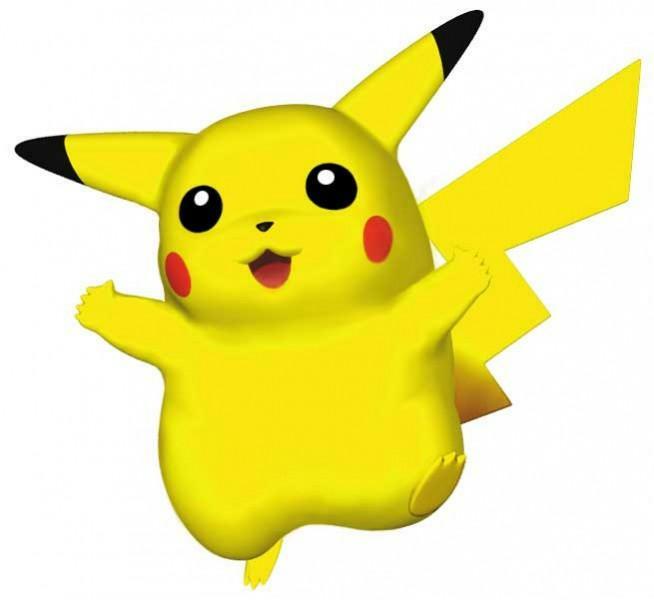 The game was praised for the astonishing 3D modeling and animation of the Pokémon, their moves and abilities, yet, it was somewhat disappointing in terms of sound, since many players expected unique Pokémon voices like those used in the animated series instead of the generic ones. The game also saw the debut Pokémon entry to the strategy game genre, focusing mainly on battles and different play modes such as the four Stadium Cups, the Gym Leader Castle, Versus battles and plenty of mini games. Since Pokemon Stadium didn't offer the exploration trait like the previous RPG games, Nintendo did smartly make up for that with the Transfer Pak, allowing players to link it to the original western Pokémon trilogy (Red, Blue and Yellow) giving them the ability to transfer the Pokémon they raised to Pokemon Stadium whether to use them for battle or simply store them. 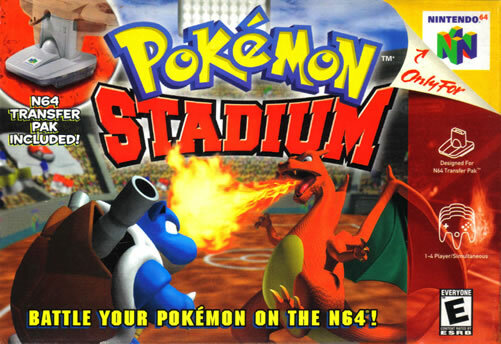 In 2001, "Pokemon Stadium 2 ", a sequel for the game was released featuring the second generation of Pokémon and linked to the Gold, Silver and Crystal games. 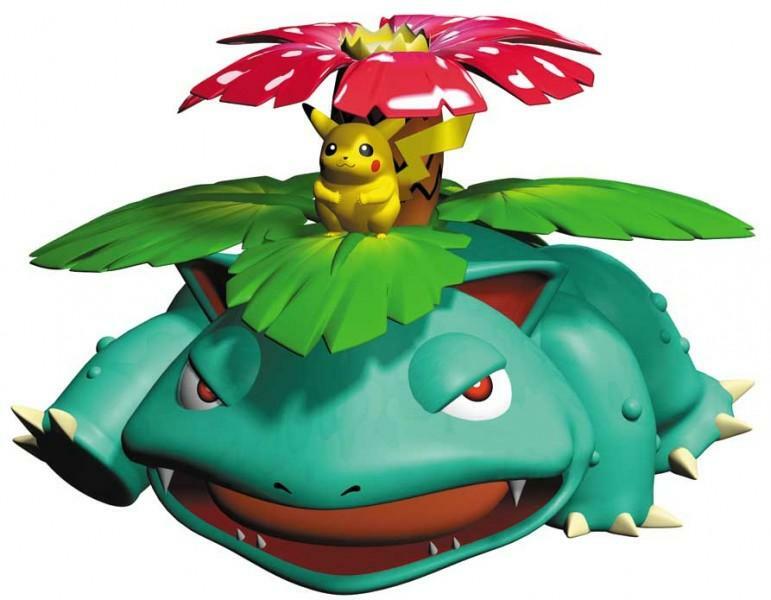 Unlike the previous games, Pokemon Stadium doesn't have any specific story as the sole goal of the game, is to complete the Stadium Cups and the Gym Leader Castle. 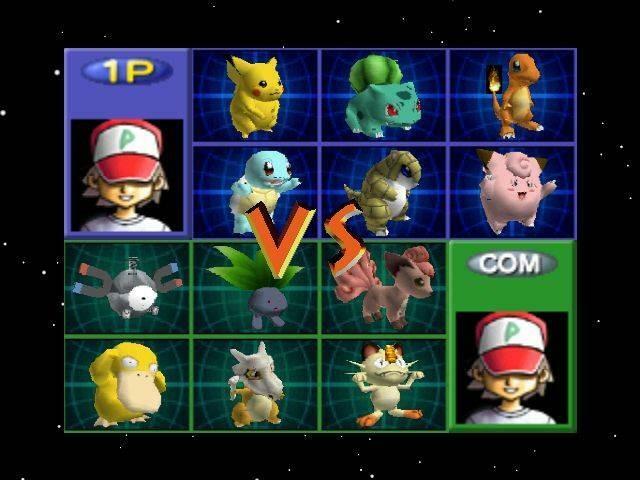 At long last, all of your favorite Pokémon are ready to go head-to-head on the N64! Whether you're battling a friend, a Gym Leader or a tournament contestant, you're about to witness some of the most spectacular battle scenes in history! Select a team from a huge stable of "rental" battlers, or use the included N64 Transfer Pack to upload your own team from Pokémon Red, Blue or Yellow! This stadium is packed and ready to rock! Pokemon Stadium comes with a wide variety of modes, some of which require the player to complete parts of the game before being unlocked. Battle Now : Before entering the Stadium, the player can choose to do casual matches either vs the AI or another player using random rental Pokémon. Event Battle : Another Player Vs Player casual matches mode, but which allows them to set different rules for their matches and which requires that both players have one of the trilogy games to be plugged to their Transfer Pak, since the current pokemon party used in the plugged games will also be used for battle. Stadium : Being the main game mode, Stadium offers four different Player Vs AI cups for the the player to complete, each with a level of difficulty, set of rules and different opponents. 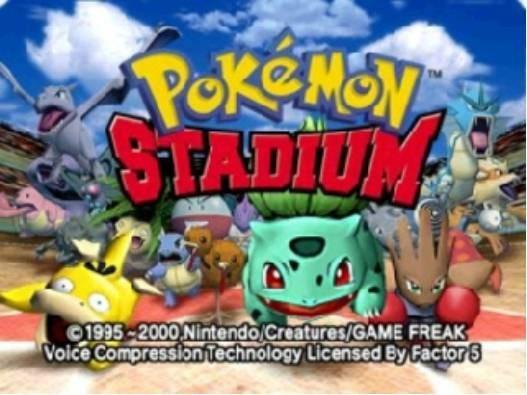 The Stadium also comes in a Round 2 difficulty that can be unlocked by defeating Mewtwo. 1. Pika Cup : The easy level Stadium Cup, where all Pokémon can be used, except for Mew and Mewtwo. It requires Pokémon to be between level 15-20 and the team level cannot exceed 50. 2. Petit Cup : The intermediate level Stadium Cup, where only 45 Pokémon can be used. It requires the Pokémon to be shorter than 6'7" (2 Meters) and lighter than 44.1 lbs (20 Kilograms), in addition to a pokemon level restriction between 25 and 30, and a maximum team level of 80. 3. Poké Cup : This Stadium Cup has different difficulties on its own. Each difficulty corresponds to a pokeball name (Poké Ball division, Great Ball division, Ultra Ball division and Master Ball division) and to unlock a harder difficulty, the player has to defeat all the trainers in the previous one. Only Pokémon between 50 and 55 can be used, excluding Mew and Mewtwo, plus a team level restriction of 155. 4. Prime Cup : Same as the Poké Cup, this Stadium Cup comes in four difficulties (Poké Ball, Great Ball, Ultra Ball and Master Ball), yet it puts no restrictions on the Pokémon that can be used, their level and the team level. Thus, using the legendaries Mew and Mewtwo is possible. All the Pokémon the player will face during the cup will have a level of 100. Free Battle : Another casual battle mode, that follows the rules of the different Stadium Cups and through which a player can play vs the AI or against up to three other players. Players can also team with each others. 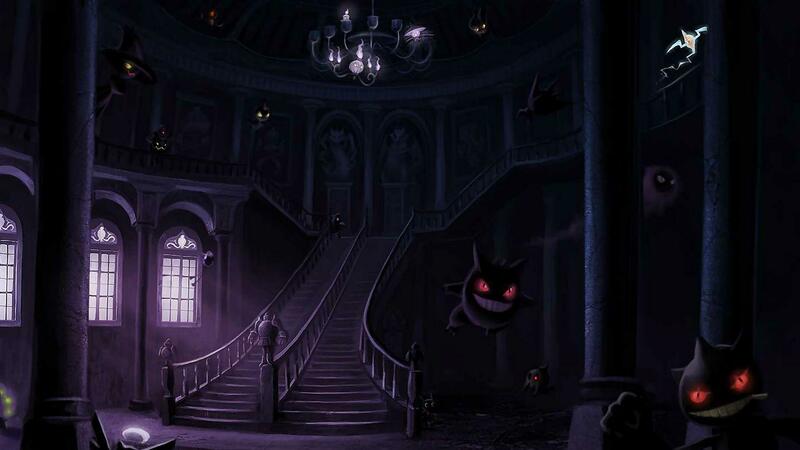 Gym Leader Castle : Within this mode, the player will face the gym leaders of the Kanto Region and in each gym he'll have to face three trainers before battling the gym leader. Once he defeats all eight of them, the player will be able to fight the Elite Four then the Champion, who's also his rival. Kid's Club : A series of mini games, nine in total, that can be played vs AI in four different difficulties or against other players. 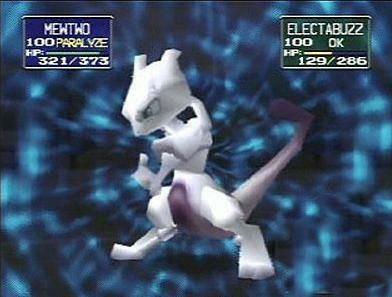 Round 1 & Round 2 : These are two interrelated modes, in which the player faces Mewtwo. To unlock Round 1, they have to win all the Stadium Cups and finish the Gym Leader Castle. Defeating Mewtwo in Round 1, unlocks Round 2. Victory Palace : Whenever the player wins a Stadium Cup, the pokemon team they use gets featured in the Victory Palace. Each pokemon will have information about the cups it won registered. Gallery : This mode allows you to take photos of the different Pokémon in game. Over 30 photos can be stored, which can be used later on by the player for different purposes. This mode was only introduced in the North American version of the game. GB Tower : This feature allows the emulation of the compatible Pokemon games with extra fast speed. 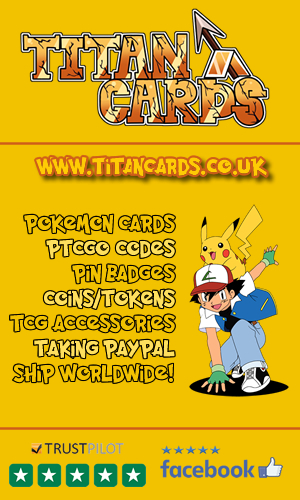 Pokémon Lab : The most important feature the Transfer Pak offers. The Lab PC allows you to browse the different boxes on your linked Pokémon game, which allows you organize your Pokémon and transfer them to Pokemon Stadium. It also provides twelve extra boxes which the player can use as storage for excess Pokémon from the other games. Within the Pokémon Lab, Pokémon can be traded if different games are inserted in the Transfer Pak of each controller. Furthermore, there's a Pokédex players can use to see all their Pokémon in 3D with their relevant informations. When transferred to Pokemon Stadium, the starter Pikachu from Pokemon Yellow will be saying its name, similarly to the animation, instead of a generic cry like the rest of the Pokémon. Pokemon Stadium was the first of the Pokémon games which allowed more than two players to battle simultaneously. A new title screen will be unlocked after clearing Prime Cup and the Gym Leader Castle on Master Ball difficulty. Finishing the Poké Cup or Prime Cup will unlock Doduo Tower, an enhanced version of the GB Tower, with which players can run linked games at 2* speed. Completing both will unlock the Dodrio Tower which allows the use of *3 speed. Electabuzz's model has 6 fingers on each hand. Some trainers have nicknamed Pokémon that have different coloration. Check out these Pokemon Stadium videos. The videos include the games trailer in HD, TV Commercials and an all-mini games video. As one of the N64's best selling games, the game sold over a million copies within the first 7 months of release and was stated the best-selling console game in the North America region, before the end of the year 2000. Sales increased even further, reaching nearly 4 million copies by 2007 of which 3.16 million were sold in the USA alone, allowing it to enter the US Platinum Videogame Chart. Critics mainly swayed between those praising the games groundbreaking graphics and game play, and those criticizing the sounds. Despite all that, Pokemon Stadium still managed to get high scores from different gaming websites and critics. In fact, IGN gave the game a score of "8.2/10" and Nintendo Power Magazine was also pretty impressed scoring it "8.8/10", unlike GameSpot who graded the game "5.7/10" showing their disappointment in the sound effects quoting: " The effects for projectile and other magic-style attacks are done well. The sound leaves a lot to be desired. Tossing in Pokemon voices from the TV show seems like a real no-brainer here, but alas, there is none to be found. An announcer gives the play-by-play, but his speech is very limited, and you'll be hearing the same few phrases repeatedly. In addition, the voice and soundtrack are a little low on the frequency scale, making everything sound a little tinny and muffled. "